Does aspirin reduce the risk of heart attacks? Is one brand of fertilizer more effective at growing roses than another? Is fatigue as dangerous to a driver as the influence of alcohol? Questions like these are answered using randomized experiments. In this module, you will learn important aspects of experimental design. Proper study design ensures the production of reliable, accurate data. The purpose of an experiment is to investigate the relationship between two variables. When one variable causes change in another, we call the first variable the explanatory variable. The affected variable is called the response variable. In a randomized experiment, the researcher manipulates values of the explanatory variable and measures the resulting changes in the response variable. The different values of the explanatory variable are called treatments. An experimental unit is a single object or individual to be measured. You want to investigate the effectiveness of vitamin E in preventing disease. You recruit a group of subjects and ask them if they regularly take vitamin E. You notice that the subjects who take vitamin E exhibit better health on average than those who do not. Does this prove that vitamin E is effective in disease prevention? It does not. There are many differences between the two groups compared in addition to vitamin E consumption. People who take vitamin E regularly often take other steps to improve their health: exercise, diet, other vitamin supplements, choosing not to smoke. Any one of these factors could be influencing health. As described, this study does not prove that vitamin E is the key to disease prevention. When participation in a study prompts a physical response from a participant, it is difficult to isolate the effects of the explanatory variable. To counter the power of suggestion, researchers set aside one treatment group as a control group. This group is given a placebo treatment–a treatment that cannot influence the response variable. The control group helps researchers balance the effects of being in an experiment with the effects of the active treatments. Of course, if you are participating in a study and you know that you are receiving a pill which contains no actual medication, then the power of suggestion is no longer a factor. Blinding in a randomized experiment preserves the power of suggestion. When a person involved in a research study is blinded, he does not know who is receiving the active treatment(s) and who is receiving the placebo treatment. A double-blind experiment is one in which both the subjects and the researchers involved with the subjects are blinded. Researchers want to investigate whether taking aspirin regularly reduces the risk of heart attack. Four hundred men between the ages of 50 and 84 are recruited as participants. The men are divided randomly into two groups: one group will take aspirin, and the other group will take a placebo. Each man takes one pill each day for three years, but he does not know whether he is taking aspirin or the placebo. At the end of the study, researchers count the number of men in each group who have had heart attacks. Identify the following values for this study: population, sample, experimental units, explanatory variable, response variable, treatments. Answers will vary. Possible responses: Do participants regularly send and receive text messages? How long has the subject been driving? What is the age of the participants? Do participants have similar texting and driving experience? This is not a good plan because it compares drivers with different abilities. It would be better to assign both treatments to each participant in random order. Possible responses include: texting ability, driving experience, type of phone. The researchers observing the trials and recording response time could be blinded to the treatment being applied. A recent investigation of famous social psychologist, Diederik Stapel, has led to the retraction of his articles from some of the world’s top journals including Journal of Experimental Social Psychology, Social Psychology, Basic and Applied Social Psychology, British Journal of Social Psychology, and the magazine Science. Diederik Stapel is a former professor at Tilburg University in the Netherlands. Over the past two years, an extensive investigation involving three universities where Stapel has worked concluded that the psychologist is guilty of fraud on a colossal scale. Falsified data taints over 55 papers he authored and 10 Ph.D. dissertations that he supervised. Researchers have a responsibility to verify that proper methods are being followed. The report describing the investigation of Stapel’s fraud states that, “statistical flaws frequently revealed a lack of familiarity with elementary statistics.”3 Many of Stapel’s co-authors should have spotted irregularities in his data. Unfortunately, they did not know very much about statistical analysis, and they simply trusted that he was collecting and reporting data properly. It is important that students of statistics take time to consider the ethical questions that arise in statistical studies. How prevalent is fraud in statistical studies? You might be surprised—and disappointed. There is a website (www.retractionwatch.com) dedicated to cataloging retractions of study articles that have been proven fraudulent. A quick glance will show that the misuse of statistics is a bigger problem than most people realize. It is never acceptable to fake data. Even though the responses she uses are “real” responses provided by other participants, the duplication is fraudulent and can create bias in the data. She needs to work diligently to interview everyone on her route. This is not necessarily a problem. The study should be monitored carefully, however, to ensure that the company is not pressuring researchers to return biased results. If the researchers truly want to determine the favorite brand of juice, then researchers should ask teens to compare different brands of the same type of juice. Choosing a sweet juice to compare against a sharp-flavored juice will not lead to an accurate comparison of brand quality. Participants could be biased by the knowledge. The results may be different from those obtained in a blind taste test. The commercial tells the truth, but not the whole truth. It leads consumers to believe that Brand X was preferred by more participants than Brand Y while the opposite is true. “Vitamin E and Health,” Nutrition Source, Harvard School of Public Health, http://www.hsph.harvard.edu/nutritionsource/vitamin-e/ (accessed May 1, 2013). Stan Reents. “Don’t Underestimate the Power of Suggestion,” athleteinme.com, http://www.athleteinme.com/ArticleView.aspx?id=1053 (accessed May 1, 2013). Ankita Mehta. “Daily Dose of Aspiring Helps Reduce Heart Attacks: Study,” International Business Times, July 21, 2011. Also available online at http://www.ibtimes.com/daily-dose-aspirin-helps-reduce-heart-attacks-study-300443 (accessed May 1, 2013). The Data and Story Library, http://lib.stat.cmu.edu/DASL/Stories/ScentsandLearning.html (accessed May 1, 2013). M.L. Jacskon et al., “Cognitive Components of Simulated Driving Performance: Sleep Loss effect and Predictors,” Accident Analysis and Prevention Journal, Jan no. 50 (2013), http://www.ncbi.nlm.nih.gov/pubmed/22721550 (accessed May 1, 2013). “Earthquake Information by Year,” U.S. Geological Survey. http://earthquake.usgs.gov/earthquakes/eqarchives/year/ (accessed May 1, 2013). “Fatality Analysis Report Systems (FARS) Encyclopedia,” National Highway Traffic and Safety Administration. http://www-fars.nhtsa.dot.gov/Main/index.aspx (accessed May 1, 2013). 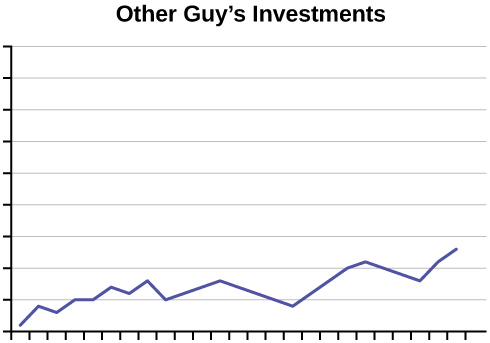 Data from www.businessweek.com (accessed May 1, 2013). 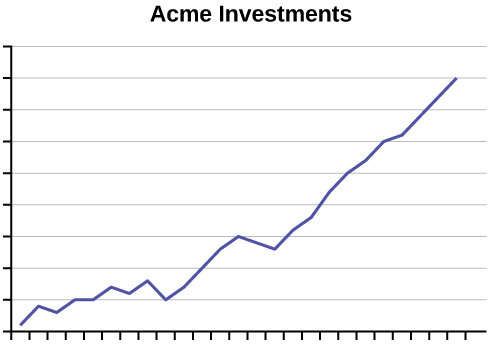 Data from www.forbes.com (accessed May 1, 2013). “America’s Best Small Companies,” http://www.forbes.com/best-small-companies/list/ (accessed May 1, 2013). U.S. Department of Health and Human Services, Code of Federal Regulations Title 45 Public Welfare Department of Health and Human Services Part 46 Protection of Human Subjects revised January 15, 2009. Section 46.111:Criteria for IRB Approval of Research. “April 2013 Air Travel Consumer Report,” U.S. Department of Transportation, April 11 (2013), http://www.dot.gov/airconsumer/april-2013-air-travel-consumer-report (accessed May 1, 2013). Lori Alden, “Statistics can be Misleading,” econoclass.com, http://www.econoclass.com/misleadingstats.html (accessed May 1, 2013). Maria de los A. Medina, “Ethics in Statistics,” Based on “Building an Ethics Module for Business, Science, and Engineering Students” by Jose A. Cruz-Cruz and William Frey, Connexions, http://cnx.org/content/m15555/latest/ (accessed May 1, 2013). included in every experiment. To eliminate lurking variables, subjects must be assigned randomly to different treatment groups. One of the groups must act as a control group, demonstrating what happens when the active treatment is not applied. Participants in the control group receive a placebo treatment that looks exactly like the active treatments but cannot influence the response variable. To preserve the integrity of the placebo, both researchers and subjects may be blinded. When a study is designed properly, the only difference between treatment groups is the one imposed by the researcher. Therefore, when groups respond differently to different treatments, the difference must be due to the influence of the explanatory variable. “An ethics problem arises when you are considering an action that benefits you or some cause you support, hurts or reduces benefits to others, and violates some rule.”4 Ethical violations in statistics are not always easy to spot. Professional associations and federal agencies post guidelines for proper conduct. It is important that you learn basic statistical procedures so that you can recognize proper data analysis. Design an experiment. Identify the explanatory and response variables. Describe the population being studied and the experimental units. Explain the treatments that will be used and how they will be assigned to the experimental units. Describe how blinding and placebos may be used to counter the power of suggestion. Discuss potential violations of the rule requiring informed consent. Inmates may not feel comfortable refusing participation, or may feel obligated to take advantage of the promised benefits. They may not feel truly free to refuse participation. Parents can provide consent on behalf of their children, but children are not competent to provide consent for themselves. All risks and benefits must be clearly outlined. Study participants must be informed of relevant aspects of the study in order to give appropriate consent. misleading visual effect of these comparison graphs. How can this be corrected? The graphs do not show scales of values. We do not know the period of time each graph represents; they may show data from different years. We also do not know if the vertical scales on each graph are equivalent. The scales may have been adjusted to exaggerate or minimize trends. There is no reliable information to be gleaned from these graphs, and setting them up as examples of performance is misleading. 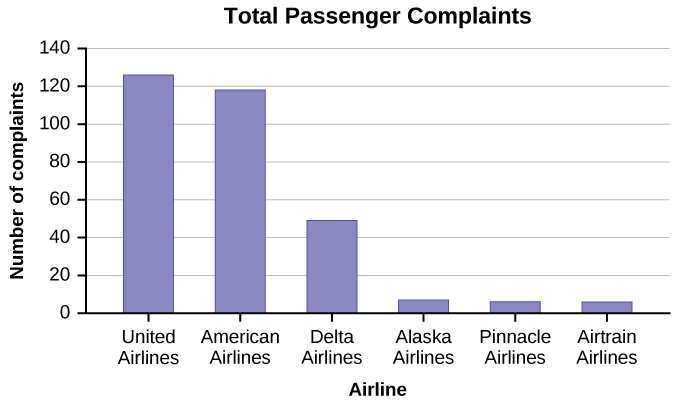 The graph in [link] shows the number of complaints for six different airlines as reported to the US Department of Transportation in February 2013. Alaska, Pinnacle, and Airtran Airlines have far fewer complaints reported than American, Delta, and United. Can we conclude that American, Delta, and United are the worst airline carriers since they have the most complaints? You cannot assume that the numbers of complaints reflect the quality of the airlines. The airlines shown with the greatest number of complaints are the ones with the most passengers. You must consider the appropriateness of methods for presenting data; in this case displaying totals is misleading. 1 McClung, M. Collins, D. “Because I know it will!”: placebo effects of an ergogenic aid on athletic performance. Journal of Sport & Exercise Psychology. 2007 Jun. 29(3):382-94. Web. April 30, 2013. Yudhijit Bhattacharjee, “The Mind of a Con Man,” Magazine, New York Times, April 26, 2013. Available online at: http://www.nytimes.com/2013/04/28/magazine/diederik-stapels-audacious-academic-fraud.html?src=dayp&_r=2& (accessed May 1, 2013). 3 “Flawed Science: The Fraudulent Research Practices of Social Psychologist Diederik Stapel,” Tillburg University, November 28, 2012, http://www.tilburguniversity.edu/upload/064a10cd-bce5-4385-b9ff-05b840caeae6_120695_Rapp_nov_2012_UK_web.pdf (accessed May 1, 2013). 4 Andrew Gelman, “Open Data and Open Methods,” Ethics and Statistics, http://www.stat.columbia.edu/~gelman/research/published/ChanceEthics1.pdf (accessed May 1, 2013). Any human subject in a research study must be cognizant of any risks or costs associated with the study. The subject has the right to know the nature of the treatments included in the study, their potential risks, and their potential benefits. Consent must be given freely by an informed, fit participant. Experimental Design and Ethics by OpenStaxCollege is licensed under a Creative Commons Attribution 4.0 International License, except where otherwise noted.